Thanks to vineyards facing south-west, the microclimate enjoyed by this area with its clayey calcareous soil, a process carried out by hand, the brilliant intuitions of the Barea family and the expertise of oenologist Gianfranco Cordero, Tenuta Montemagno produces bottles of great prestige now figuring among the top 100 Italian wines. As tradition requires, after the grape harvest, vinification and refining are done in the ancient frescoed cellars at Tenuta Montemagno, using the most modern technology. 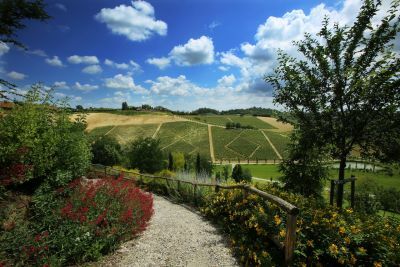 This is where traditional wines of strong character and decidedly new ones, such as TM Brut, obtained from Barbera grapes using the classic method, come to life and are allowed to rest for the necessary time. 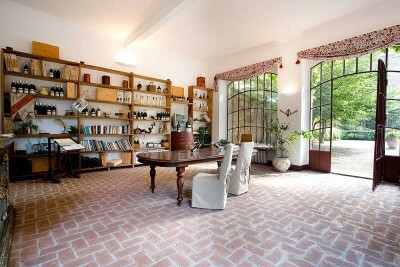 This land preserves the Asti area’s most precious treasure. Riches that Tenuta Montemagno display in the luxuriance of its crops. 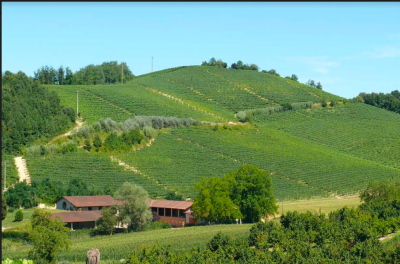 From the same municipality of Montemagno the vineyards extend as far as neighbouring Altavilla, Viarigi and Casorzo. Sight is strained by taking in rows and rows of some of the most ancient and famous Piemonte vines. With this wine tasting experience you'll enjoy a wine tour of this splendid location followed by a tasting of 4 wines choosen by you, paired with some local cheese and salami! Top - nettes Personal und genialer Wein! Davvero un bel posto, ci sono stato per comprare i loro vini e sono ottimi!